GRADE LEVEL: entering Kdg-6th grades; DATE: Registration Opens March 4th! 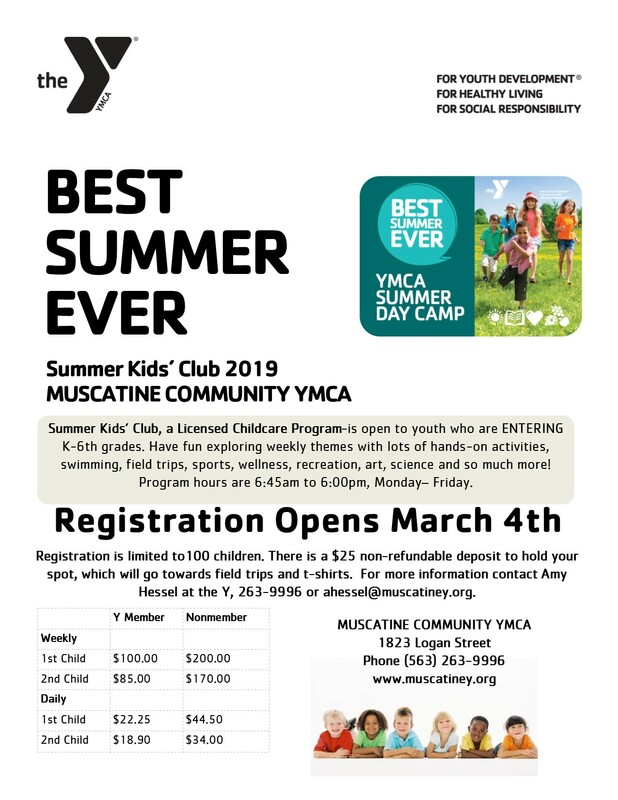 Summer Kids’ Club, a Licensed Childcare Program-is open to youth who are ENTERING K-6th grades. Have fun exploring weekly themes with lots of hands-on activities, swimming, field trips, sports, wellness, recreation, art, science and so much more! Program hours are 6:45am to 6:00pm, Monday– Friday. For more information contact Amy Hessel at the Y, 263.9996 or ahessel@muscatiney.org.